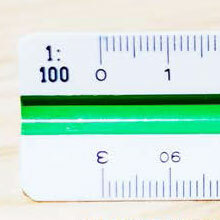 Rapport fra workshopen finner du her. Dette innlegget ble skrevet i NARMA-kurs og merket bibliometri, forskningsdata, indikatorer, 9. februar 2016 av Håkon Fottland. 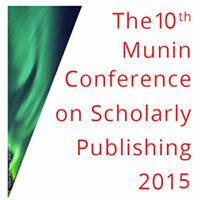 The 10th Munin Conference will be held 30 November–1 December 2015 at the UiT The Arctic University of Norway. Link to conference website with complete program/abstracts. Amongst our speakers, you will find top international keynotes like Randy Schekman and Stuart Shieber. Professor Schekman is a Nobel Laureate in Physiology or Medicine 2013 and has strongly criticised the closed-access journals like Nature, Cell and Science, citing their self-serving and deleterious effects on science. Professor Shieber has led Harvard’s efforts to institute open-access policies, leading to the policies now in place at Harvard and emulated elsewhere. Dette innlegget ble skrevet i Nytt fra NARMA-medlemmer, SIG: Bibliometri og merket åpen tilgang, forskningsdata, 21. oktober 2015 av Håkon Fottland. Link: Call for proposals and session tracks. The evolving landscape of data, including the growth of digital ‘big data’, open data, and open science, presents opportunities and challenges for social science, digital humanities, and related disciplines. 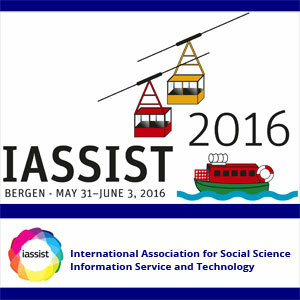 Conference is hosted by the Norwegian Social Science Data Services. Dette innlegget ble skrevet i Nytt fra NARMA-medlemmer og merket åpen tilgang, forskningsdata, 19. oktober 2015 av Håkon Fottland.